CET Delhi 2019 Counselling: CET Delhi Counselling 2019 is organized via online mode. The Department of Training and Technical Education, Delhi is responsible to conduct the Delhi diploma counselling procedure. CET Delhi Counselling is schedule via online mode in the first week of June 2019. Delhi Common Entrance Test (CET) is a state level entrance exam. It offers admission in various engineering and non-engineering diploma courses. Candidates can also get admission into the second year of diploma engineering (lateral entry) in the institutions of Delhi. Delhi CET qualified candidates need to register themselves in online mode for counselling. Delhi CET 2019 is a 10 step registration process. To participate and know the step by step procedure of CET Delhi 2019 counselling – Read the full article. Total of four rounds of online counselling take place. If the seats remain vacant, the spot round of counselling takes place. Here we have provided the Delhi CET 2019 Counselling dates of two rounds. The table will release once the counselling notice for 2019-20 session releases. Delhi CET Counselling 2019 is a 10 step procedure. Go through the steps of Delhi CET Counselling from below. Candidates who are willing to participate in the CET Delhi Counselling 2019 must qualify the Delhi CET 2019 exam. Only Delhi CET qualified candidates can apply for the counselling process. Read the steps below to know the detailed procedure of Delhi CET counselling 2019. Candidates are called for counselling on the basis of inter-se merit. CET Delhi 2019 counselling process has fee payment, registration, choice filling, allotment, etc. To participate in the first round of Delhi CET Counselling Procedure 2019, the qualified candidate needs to register by paying the application fee first. Candidates have to register for counselling to get admission in the diploma courses. Candidates have to pay one-time procession fee of Rs. 718 via debit card /credit card/ net banking & e-Challan. How to pay counselling registration fee? Click on the link Pay Processing Fee given on the home page. Fill the details Test No., Roll No., Application No., Date of Birth, and security code. 4. Take print out of the online payment receipt. For regeneration of online payment receipt, Click on the link Pay Processing Fee- Enter your details – Generate Payment Receipt. For registration, candidate need to enter general details like roll no, CET application no, date of birth, Father’s Name, Mother’s Name, Gender, Category (SC/ST/GN/OBC), Sub-Category (NCC/DP/SM/PH/JK/TFW), Contact Address, Mobile No., e-mail Address, Details of Qualifications, Bank Details etc. NOTE: After submitting the necessary details in the ‘Registration Form’, “Registration Details of the Candidate” will appear indicating information submitted by the candidate. If the entered registration details of the candidate are “Not Correct”, then she/he can change the registration details by clicking the “Edit Registration Details” Button. Once the candidate confirms the registration using “Confirm Registration Details” Button, then the candidate will not be able to modify the details. The candidate must confirm after providing the correct information. At the end of the process, an “Online Registration Receipt” will be generated on the screen displaying the Registration Status & Eligibility Status for Counselling. The candidate must take the print out of the “Online Registration Receipt” & keep it safe for any future reference. The candidate will have to submit his/her choice/s of Institute as well as discipline in the order of preference by clicking on the “Fill Choices” button. The candidate must give the maximum number of choices in his/her own interest. (Candidates of Test-1 are advised to give at least 25 choices in the order of preference so that there are brighter chances of securing a seat in their preferred institute and course). After filling and arranging the choices of the branch and institute click on the “Save and Continue” button. The official authority will release the Seat allotment after candidates select and lock their choices. The seat is allotted based on their merit rank, choice of college and stream. It contains the name of the allotted college and stream. The seat is allotted from candidate’s choice. The candidate must take the printout of the Provisional allotment letter. To download the Provisional Allotment Letter, registered applicants need to enter valid CET Number and date of birth. The Provisional Allotment Letter is to produce at the time of reporting for admission. The next step after taking the printout of Provisional Allotment Letter is paying the institutional fee in online mode partly. The Provisional Letter will mention the amount of the Institutional Fee. The seat is locked after paying the Institutional Fee. The candidate’s seat is cancelled if she/he is not able to pay the Institutional Fee. Candidates who are going to visit the designated document verification centre must carry the below-mentioned documents in original format. They must carry one photocopy of the same. Demand Draft amounting Rs 6000/- in favour of “DKDF” payable at Delhi. The candidate must not pay through Cheque or cash. Two latest identical 7cm X 5.5cm Size Colour Photographs (same as in Admit Card). Admit Card of CET 2019 in original form. Secondary School Certificate as Proof of Date of Birth (Original and one Self-attested photocopy). Marks-sheet of the qualifying examination issued by the Board/University (Original and one Self-attested photocopy). Certificate of the qualifying examination issued by the Board/University (Original and one Self-attested photocopy). If the candidate doesn’t have the original certificate at the time of counselling, they must show the provisional certificate issued by the school. Category / Subcategory certificate whichever applicable, on the basis of which reservation is claimed (Original and one Self-attested photocopy) issued by the competent authority. The candidate must freeze the seat if they are satisfied with the one allotted to them. They must access this option if they do not want to take part in the counselling procedure further. The Freeze option is available in her/his account for the particular time period. If the candidate does not freeze the allotted seat, the next higher preference may be allotted to him/her automatically in the next round subject to availability of seats, and the candidate will not be allowed to retain the earlier allotment under any circumstances. Such candidates can change/modify the choices during the period of Online choice submission. Candidates need to pay the full institutional fee in two parts. The candidate will pay the First half amount of fee to book and lock the seat. The candidate has to pay the remaining amount at the time of taking the admission. The official website of Delhi CET will mention the amount. This is the last step of the Delhi CET 2019 Counselling Procedure. Candidates need to download the final allotment letter. The candidate must submit this letter to the allotted institute. The candidate must provide the CET number and Date of Birth for downloading the final allotment letter. Allocation starts after the registration period is over. A candidate submits his/her choices on registration. The computerized allocation will be done based on the rank, region, category, sub-category, gender, etc. for each of the five tests. The available seats will be allocated according to the preference of choices submitted by the candidate during registration & choice submission. a) Click on the link “Registered Candidate Login” given on the home page and fill details. b) Click on the link “Allotment Letter”. c) Print Provisional Allotment Letter(if allotted). Spot round of admission will take place only if seats remain vacant after Fourth round of counselling. All candidates who have paid the Processing fees and have completed Online Registration earlier but have not been admitted till the last date of completion of enrolment formalities of Fourth Round of counselling are eligible for Spot Admissions provided they have marked their willingness online on the official website www.cetdelhi.nic.in (as per counselling schedule). The candidate cannot change the branch allotted to them in SPOT admissions. The Institutional Fees will not refund in any case. Q. Who is eligible Delhi CET Spot Round Counselling 2019? 1. Only registered candidates, who have marked their willingness ONLINE for Spot round on the official website are eligible for the participation in this round for displayed Vacancies(If any). 3. Only candidates with Delhi region are eligible to participate in Spot round. Q. Who can give online willingness for spot round? Ans: Delhi Region Candidates who have given the Processing Fees and have completed online Registration earlier but are not admitted till the last date of completion of enrolment formalities of Fourth Round of counselling are eligible to give willingness for spot round. Delhi Region Candidates who have taken admission during previous rounds of counselling but taken Online withdrawal till the last date of completion of enrolment formalities of fourth Round of counselling are eligible to give Online willingness for spot round. Q. Who are not eligible Delhi CET Spot Round Counselling 2019? Ans: 1. 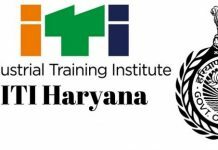 Those candidates who are from any of the Institute /Polytechnic under BTE, Delhi. 2. Those candidates who have not given Online willingness to participate in SPOT Round. 4. How do I know the Seats Available for Spot Round? The seats displayed there will reduce Dynamically upon any Allotment during Spot Round. 5. Can I cancel the Admission and get Refund of my Demand Draft submitted at the time of admission during Spot Round? Ans: No, the demand draft amounting Rs 6000/- will not be refunded under any circumstances for the admissions taken during Spot round. 1. Do I have to report to any counselling centre for Online registration or choice filling? Ans: No. The candidate can do the online registration and choice filling from any place (including from home) with the help of the Internet. 2. How many seats are reserved for Delhi and Outside Delhi Region? Ans: 85% of the total sanctioned intake of Government and Government aided and Private self-financing Institutions shall be filled-up by candidates who have passed the qualifying examinations from schools located in Delhi. 15% seats shall be filled up by candidates passing the qualifying examinations from the schools located Outside Delhi. 3. What is FREEZE option? the specified time period else his/her next higher preferences will be considered automatically for Up gradation in all subsequent rounds of counselling. 4. What is the process of Cancellation of the seat? Ans: After depositing of Part Institutional Fees and document verification, if a candidate wants to cancel the admission against the allotted seat, he/she can apply for cancellation by clicking on the Cancellation option available in his/her account in the admission/ counselling website within the specified time period by following the online cancellation procedure. 5. What is Delhi CET Counselling 2019 Spot Round? Ans: After the 4th round of counselling, vacancies(if any) due to cancellation or any other reason for all programmes will be computed and notified along with the schedule and venue of Spot round on the website. If you have any doubt related to this article, then please write us in the comment box given below. 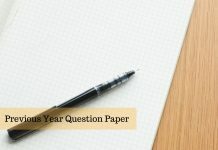 Next articleBAMS 2019 – Eligibility, Top Colleges, Eligibility, Syllabus, Career Scope etc.